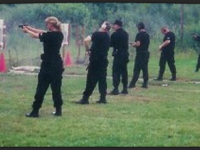 Michigan Concealed Pistol License Classes. 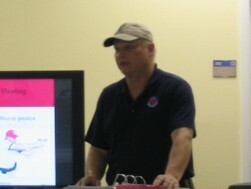 Instructor Training. Advanced Classes. CHOOSING THE RIGHT CONCEALED CARRY CLASS MIGHT BE THE MOST IMPORTANT DECISION YOU’LL EVER MAKE. Rand Academy of Firearm Training is proud to announce the Grand opening of Kickin Brass Gun Range and Training Center at 2881 N. Portage Rd. Jackson MI, 49201. An all season facility with five separate outdoor training bays. 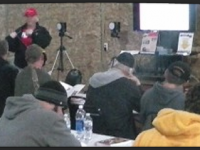 A large heated classroom with indoor/outdoor shooting capability for inclement weather you will stay dry and warm. We have all of the state of the art training aids, laser trainers, training guns, and top of the line audio/visual system. You will not need to train behind someones barn or out in the mud pit of a farmers field again, or in an overpriced indoor range that will not allow drawing from a holster and movement. No need to drive 25 or 35 miles to the range after the classroom portion. Never accept sub-par training again. You and your family’s safety depends on quality training, and that is what you receive at Rand Academy of Firearm Training, and Kickin Brass Gun Range. Continue your training. Learn and practice how to draw faster and build skills applicable to concealed carry. Joseph has 16 years as a law enforcement firearms instructor. 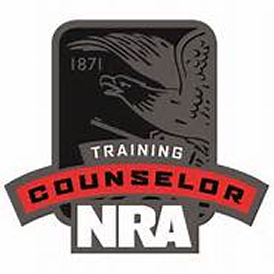 A Certified NRA Training Counselor in Pistol, Rifle, Shotgun, Home Firearm Safety, Range Safety Officer, Personal Protection In The Home, Personal Protection Outside The Home, Metallic Cartridge Reloading, Shotgun Shell Reloading, Refuse To Be A Victim. 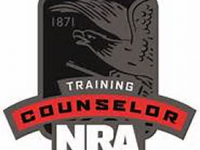 A Certified NRA instructor in Pistol, Rifle, Shotgun, Home Firearm Safety, Range Safety Officer, Personal Protection In The Home, Personal Protection Outside The Home, Metallic Cartridge Reloading, Shotgun Shell Reloading, Refuse To Be A Victim, Chief Rang Safety Officer, Handgun Retention, Taser, Tactical Carbine, Tactical handgun, Tactical Shotgun. Is a member of the International association of law enforcement firearm instructors, Association of defensive shooting instructors, National Tactical officers association, and International Law enforcement Educators and Trainers association.